Despicable Me has definitely made a mark on everyone. It introduced us to the hilarious world of minions and the sarcastic banters of Gru. T'was a major hit that loads of merchandise were created inspired by these unforgettable characters. 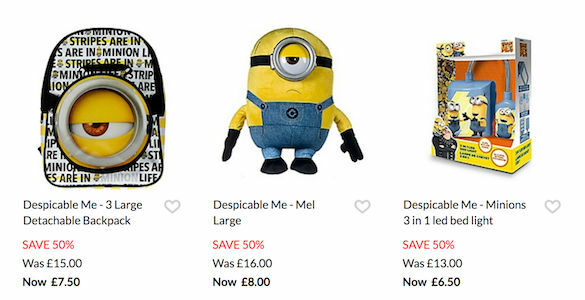 You can shop for the cheapest deals on Despicable Me items such as backpacks, pyjama sets, beddings, action figures, etc from Amazon, The Entertainer, ASDA, ebay and The Works. If you're lucky to have a voucher code, you can get as much as 40% off on your purchase. Special offers like free click and collect or free deliveries are also available. Despicable Me 3 Mel Backpack + extra saving with code !! Mega Construx FFC88 Despicable Me 3 Minions Advent Calendar Amazon Prime. Love Despicable Me? Get huge savings on the latest voucher codes & discounts on Despicable Me merchandise from your favourite UK retailers! The marketing of Despicable Me – featuring its Minions, is nevertheless, a worldwide hit that translates to hard cash and billions of dollars as far as box office sales are concerned. It is a trend. As of today, it is dubbed as the second-biggest animated film which goes after Shrek The Third. Indeed, the film has knocked off box office charts which is not easy to do. Beside all of these attention though, what is surprisingly unforgettable, about the Despicable Me and the Minions, is that it is the embodiment of pop culture. It has formed an enduring fandom that supports any Despicable Me-inspired merchandise including DVDs, toys, costumes, clothes, accessories, gadgets, and others. This does not only affect kids, nor twenty-something adults. The characters grew to every demographic profile as if it is a contagious disease and up until now, a cure has not been discovered. 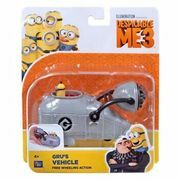 If you are one who likes Despicable Me very much, there are many Despicable Me-themed products you can obtain from the internet. What is even better is that you may own them without hurting your budget. Just find the most affordable deals and you are definitely good to go. Where Can I Look for Cheap Despicable Me Deals in the UK? If you consider owning Despicable Me items including toys, clothes, accessories, gadgets, Despicable Me DVD box set, and others – you have come to the right place. We will assist you in making your search simple. From the most affordable Despicable Me 3 DVD, down to anything minions, you will never run out of options to pick from. Indeed, the best bargain is waiting just for you! Despicable Me DVD set and other Despicable Me products are just within your fingertips. This is made possible with the special offers, discount codes, and sales available at Latest Deals. Our team of money-saving experts and community of bargain hunters are always updated with budget-friendly deals and offers on Despicable Me. Check the best deals from Amazon, Argos, ASDA, Debenhams, eBay, Tesco & more. Amazon. Once you decided to collect Despicable Me 2 DVD and Despicable Me 1 DVD, you must check what Amazon has to offer. This features new and future releases that your Despicable Me heart will surely enjoy. Buy their product without compromising your budget. Aside from all these, you can trust this retailer when it comes to technology, fashion, music, beauty, toys, and a whole lot more. Check what it has in store for you. Debenhams. Search for Despicable Me toys at Debenhams. With this retailer, you can shop for a wide range of products without having a hard time at all. You can find great deals on Despicable Me toys and merchandise on sale here where you can save as much as 50% off. eBay. If you are waiting for Despicable Me 4, and you would probably get a minions DVD and Despicable Me 1-3 box set, eBay may help you that and more. Secure eBay discount codes and get at least 10% to 20% off and a free delivery on top of it. This may be of interest to you if you want to save more from your purchase. Tesco. Your fondness of Minions and Despicable Me will never end with Tesco. From toddler bedding bundles to DVDs and Blu-rays, you have plenty of selections to pick from. Shopping may indeed be completed for less with Tesco. Apart from these products, you can also save on your groceries as you visit Tesco. Get extra savings with the use of voucher codes from Latest Deals. Wilko. Handwash, roll wraps, scooters, and more. These are just some of the unique Despicable Me products you can enjoy from Wilko. If you like to utilise bargains, deals or sales, this retailer is the right one for you. What is even better is that it offers free click and collect which may spare you even more savings. It cannot be denied that the Minions are a fabulous bunch of characters which attract so many kids. As a matter of fact, these are so popular - up to a point when they are adorn whether they are stickers, socks, thermos, bottles, backpacks, among others. Indeed, these funny characters never fail to make a person laugh out loud because of their high-end adventures and antics. Sticker. You just have to keep on looking and you will discover that there are several Despicable Me colourful stickers you can buy from. There are humorous designs with the whole Minion culture you will definitely love. There are time when the sticker is large so it easily catches attention. This is recognisable. Find one which flatters your creative side. Figure Pack. Most of the figure packs have three Minion character figures and they would even come with accessories such as goggles, hats, arms, clothing, arms and feet. What is better about this is that it may be expanded for other possibilities of constructions. This is best as long as your children is at the age of five, or even older. Action Figures. These sets have miniature sets of figures that comes in different costumes and colours. They are in zany faces which would make owners laugh for sure. 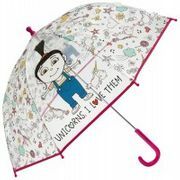 These are made from very durable plastics making them safe for your kids. Camera. Minion cameras are the best because they can produce high quality videos. In order for this to work, you have to install an application on your phone. Do not worry because this is simple to set up. Getting started should not be an issue for sure. This features motion alerts that have motion detections and notifications too. This is a chance for you to communicate with others. Socks. Most Minion socks are liked by girls out there. With the sets available, they can wear myriad designs every day. What is for sure is that they would not get bored because most characters are hilarious and funny-looking. Most are not visible with shoes so there is nothing to worry at all. These are perfect if you are to go on sleepovers and the like.